First off, welcome back readers. We have missed you, and hope that you have missed us at well. However, football is almost here and so it is time for 4 Down to return as well. Over the next few weeks leading up to the start of football season, we will be bringing you our college football countdown primer. There are six Mondays left without football :(, so for the next six Mondays (including today) there will be a conference preview. Today will cover all of the Group of Five conferences. For those of you unaware of some of the intricacies of the new playoff system, the Group of Five conferences are the FBS conferences whose champions do not have automatic berths to one of the six major bowl games (Cotton, Peach, Orange, Fiesta, Rose and Sugar). The Group of Five conferences consist of the AAC, C-USA, MAC, Mountain West, and Sun Belt. The kicker is that the highest ranked champion of these conferences does get to go to one of the six major bowls automatically. Enough boring rambling, let’s get to the football. The AAC is potentially the most wide open, and thus hardest to predict, of any of the Group of Five Conferences. My pick for 2014 is the Cincinnati Bearcats. After going 9-4 last season and losing to North Carolina in the Belk Bowl, Tommy Tuberville’s team will be looking to improve on that mark this season. One of the toughest tasks will be replacing quarterback Brendon Kay, whose successor will likely be the indecisive Gunner Kiel. Kiel, if you remember, was once committed to both Indiana and LSU before settling on Notre Dame. He transferred to Cincy after one season on the bench in South Bend. 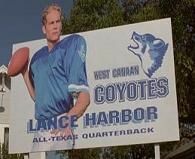 He also is third on my list of all-time top quarterback names (behind Colt McCoy and Lance Harbor). Kiel’s transition to starting QB should be made easier by the return of three starters on offensive line, headlined by 1st team all-AAC left tackle Eric Lefeld. Hosey Williams and Atlanta native Ralph David Abernathy IV will also help the young Kiel at running back. These two combined for 1,173 rushing yards and 9 touchdowns last season. Kiel’s top receiving target will likely be Shaq Washington who had 783 receiving yards last season. There are three teams who I see potentially threatening Cincinnati for the AAC crown. Newcomers ECU could make a run at the AAC title behind the arm of Shane Carden, who threw for over 4,000 yards and 33 TDs last season, and only 10 interceptions. Houston is another high-powered offensive team who has conference championship potential with the John O’Korn-Deontay Greenberry connection. Greenberry was first team all-conference last year, and O’Korn was the AAC rookie of the year. The final team who could challenge Cincinnati is defending Fiesta Bowl champion UCF, but replicating last year’s success will be difficult without the services of quarterback Blake Bortles and running back Storm Johnson. The Marshall Thundering Herd will win the C-USA, and have a very real shot to win the automatic Group of Five berth to a major six bowl game. They are ranked 19th in Phil Steele’s preseason rankings, and with a very easy schedule, have a legitimate shot to run the table in the regular season. They will be led by senior quarterback and dark horse Heisman candidate Rakeem Cato, who threw for over 3,900 yards and 39 touchdowns last season. The previous season he led the nation in passing yards per game at 350.1. Cato will be helped on the offensive side of the ball by the return of all-conference linemen Clint Van Horn and Chris Jasperse and all-conference wide receiver Tommy Shuler. Thursday night MACtion has become a fall staple in college football circles. 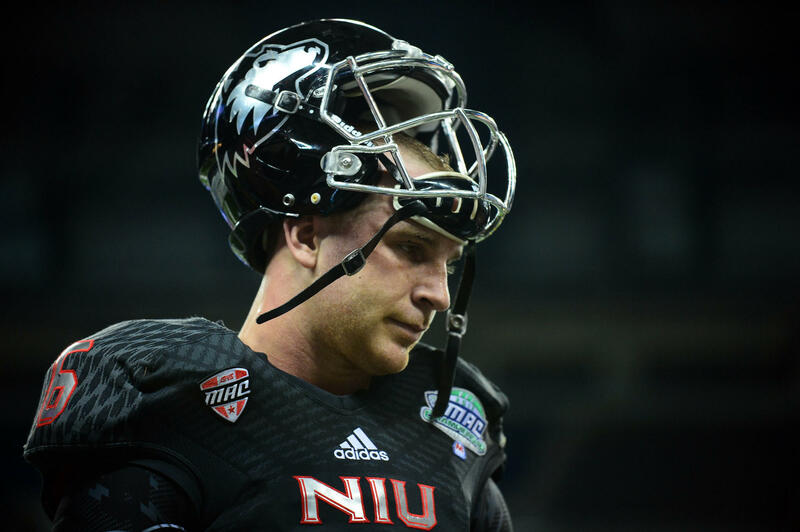 Northern Illinois is coming off of the best two-year stretch in school history, and if they can manage to effectively replace the loss of do-it-all quarterback Jordan Lynch and star safety Jimmie Ward they will likely win the MAC. Defending champion Bowling Green poses the most viable threat, but with the loss of their head coach and several key players they could drop off some in 2014. The rest of the Huskies offense should be potent in 2014. They return running backs Akeem Daniels and Cameron Stingily. Stingily rushed for over 1,000 yards and 9 touchdowns last season. Daniels missed last season after having foot surgery, but had 11 total touchdowns in 2012. The receiving corps returns Tommylee Lewis, Jamaal Bass, and Da’Ron Brown, all of whom received all-conference honors last season. First team all-MAC lineman Tyler Loos will anchor the offensive line. Boise State seems like the trendy pick, as it has been for the last decade, to win the Mountain West. However, this year the magic may run out. Longtime coach Chris Petersen has left to coach Washington, and the Broncos failed to win double-digit games for the first time since 2005 last season. Boise State has replaced Petersen with former offensive coordinator Bryan Harsin. The Utah State Aggies have a very real opportunity to win the MWC in 2014. 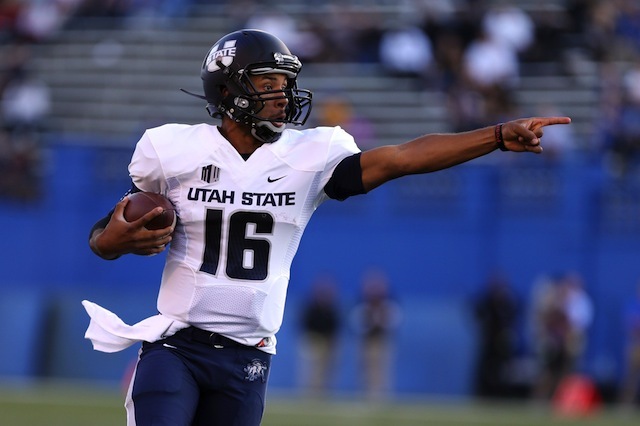 The main reason for this is the return of quarterback Chuckie Keeton from an ACL injury. 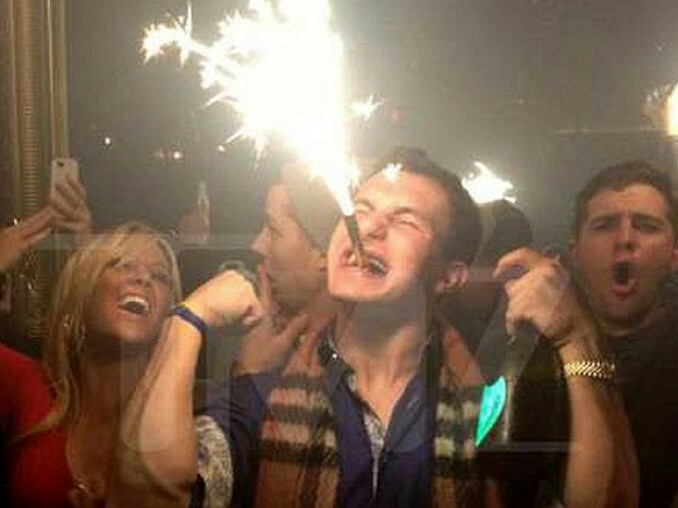 Keeton is like the small school, non-partying-in-Vegas-and-taking-wild-pictures-of-it version of Johnny Manziel. He can run and pass, and most similarly to Manziel, he can improvise. Keeton is an electrifying player who managed to throw for 18 touchdowns and only two interceptions in 5 games and a quarter in 2013. In 2012, he managed 3,373 passing yards, 619 rushing yards, 35 total touchdowns, and only 9 interceptions. The Aggie defense was 7th in scoring last season allowing only 17.1 points per game and return 5 key starters: DE B.J. Larsen, LBs Zach and Nick Vigil and Kyler Fackrell, and safety Brian Suite. Suite, Fackrell, Larsen, and Zach Vigil all were named to all-conference teams last season. The Broncos and the Aggies play in the last week of the regular season, which could turn into a de facto Mountain division championship game to see who goes to the conference championship. UL Lafayette ought to win the Sun Belt going away this season. Mark Hudspeth’s squad has gone 9-4 and won the New Orleans Bowl in three consecutive seasons and may be even better than that this season. They return 15 starters led by quarterback Terrance Broadway. 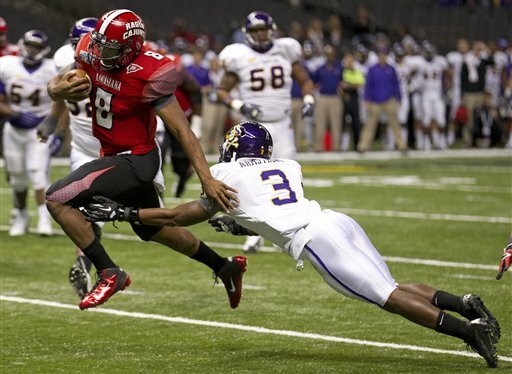 Broadway had almost 2,500 passing yards and over 400 rushing yards in 2014, and the Ragin’ Cajuns averaged 33.8 points per game. Their running back tandem of Alonzo Harris and Elijah McGuire also combined for 22 rushing TDs last season.